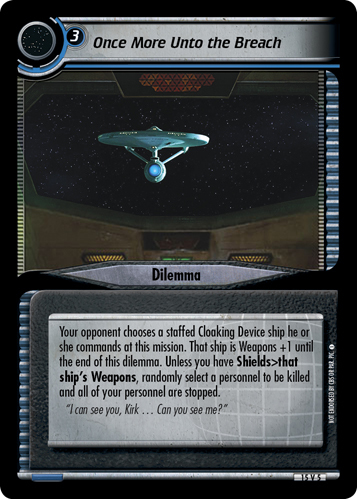 Your opponent chooses a staffed Cloaking Device ship he or she commands at this mission. 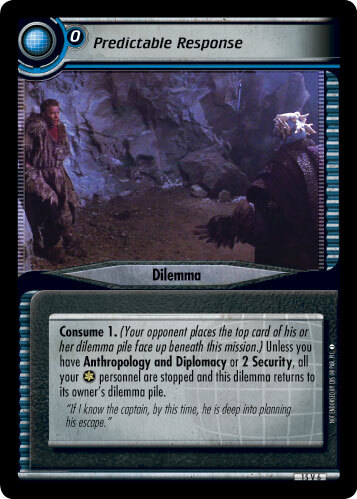 That ship is Weapons +1 until the end of this dilemma. 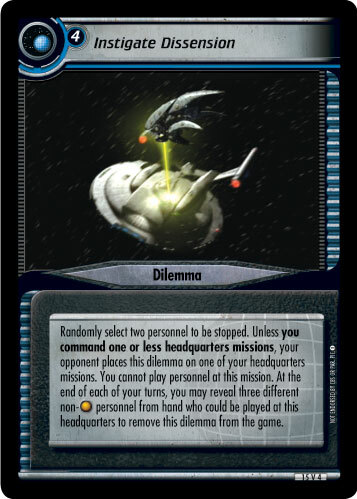 Unless you have Shields>that ship's Weapons, randomly select a personnel to be killed and all of your personnel are stopped. "I can see you, Kirk ... Can you see me?"